Located right on the seafront, the prestigious Grand Hotel Vesuvio overlooks the Gulf of Naples, the island of Capri and Mount Vesuvius. Great Location, clean and comfortable rooms with beautiful sea view. Staff were very friendly, helpful and professional. Breakfast was great too. I would recommend it to anyone visiting Naples especially that it's very close to the port if you wish to get on a boat and spend some time in beautiful Capri. Located 1969 feet from Naples’s Piazza del Plebiscito, Palazzo Alabardieri is a 2-minute walk from the shops of chic Via Chiaia. Excellent location , clean and comfortable room and very helpful staff . Napoli Svelata is located in Naples, a 14-minute walk from Chiesa dei Santi Filippo e Giacomo and one mile from Museo Cappella Sansevero. Staff are very friendly and helpful. And property is a walking distance to popular pizzerias, historical center and Napoli Port. Also, it's convenient to catch the CitySightseeing bus (Line A or red line) from across the street, which runs every 30 minutes. Though, be aware that this is the 11th (last) stop in that line before going back to the 1st stop, so stay on the bus to get see the rest of stops. Featuring a panoramic terrace with views over the Gulf of Naples, Starhotels Terminus is set just yards from both Napoli Centrale Train Station and Garibaldi Metro. Friendly staff, great breakfast, clean. Great wi-fi, all in all great experience. Ibis Styles Napoli Garibaldi is a 5-minute walk from Piazza Garibaldi Train Station in Naples and the city's main bus terminus. The rooms include air conditioning and a satellite TV. It’s at the perfect location to explore the city. Hotel Casablanca in Naples features 3-star accommodations with a bar. Great staff, great room and great location! The host was very gracious and the breakfast was good. Located within 1.9 miles of Castel dell'Ovo and 2.2 miles of Molo Beverello, Barbarella Home has rooms in Naples. Offering a furnished terrace, parking and free WiFi, the Nuvò is 10 minutes' walk from Naples' Cavalleggeri d'Aosta Metro. we were really surprised at the hotel for the price we paid. Set in Naples's exclusive Chiaia quarter, Exe Majestic offers a fitness center and free WiFi throughout. Rooms feature air conditioning and a satellite flat-screen TV. we had 4 rooms for 2 and 3 nights Enjoyed the breakfast. In the heart of Naples, Grand Hotel Oriente offers spacious rooms with free Wi-Fi. The Basilica and museum of Santa Chiara are a 10-minute walk away. Best breakfast I had in a long time. Excellent location. Really good staff. Are you arriving by train in Naples? Don’t waste time on your vacation looking for your hotel; San Pietro is just 330 yards from Piazza Garibaldi and the main station. It was centrally located. The staff were very helpful. The hotel was very clean. Enjoy unforgettable views across the Bay of Naples at Grand Hotel Santa Lucia, offering true luxury and modern amenities right on the harbor in the heart of historic Naples. This is a wonderful, vintage hotel directly on the waterfront with views of the bay and beyond. Hotel Correra 241 is located in a residential area of the center of Naples, just above the historic center, and 656 feet from Dante Metro Station. Great staff, very helpful. Good breakfast, nice rooms, quiet area. Hotel Fly Napoli is a few steps from the port and 10 minutes' walk from Naples Central Train Station. All rooms feature a TV and private balcony. We liked that it was sparkly clean , in a nice area that is not full with tourists so it was quiet. What are the best hotels in Naples near Capodichino Airport? Travelers who stayed in Naples near Capodichino Airport (NAP) have said good things about Millennium Gold Hotel, Capodichino International Hotel, and Kleopatra Design Hotel. The average price per night for a 3-star hotel in Naples this weekend is $159 or, for a 4-star hotel, $274. Looking for something even fancier? 5-star hotels in Naples for this weekend cost around $852 per night, on average (based on Booking.com prices). Which hotels are the best ones to stay at in Naples? 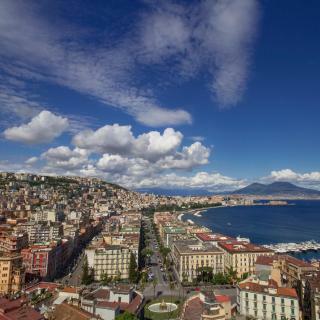 NapoliMia Hotel, Hotel Piazza Bellini, and Palazzo Alabardieri are some of the popular hotels in Naples. Which neighborhood is the best one to stay at in Naples? 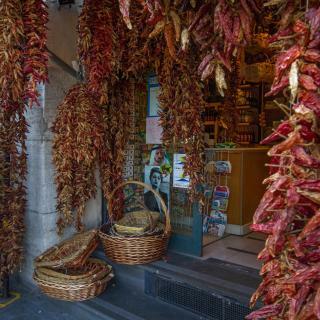 Naples Historic Center, Chiaia, and Fuorigrotta are popular with other travelers visiting Naples. Many families visiting Naples loved staying at La Ciliegina Lifestyle Hotel, NapoliMia Hotel, and Barbarella Suite. 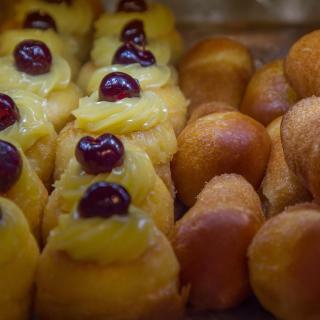 Which hotels in Naples offer an especially good breakfast? 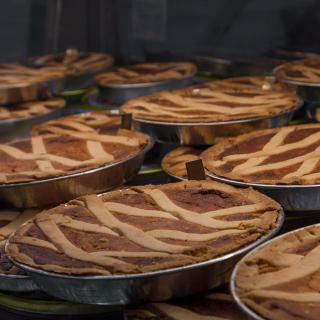 For hotels in Naples that serve highly-rated breakfasts, try NapoliMia Hotel, Grand Hotel Vesuvio, and NeapolitanTrips Hotel Royale. Which hotels in Naples are good for couples? These hotels in Naples are highly rated by couples: Barbarella Home, NapoliMia Hotel, and Hotel Casablanca. On average, it costs $73 per night to book a 3-star hotel in Naples for tonight. You'll pay around $128 if you choose to stay in a 4-star hotel tonight, while a 5-star hotel in Naples will cost around $266, on average (based on Booking.com prices). Which hotels in Naples have nice views? 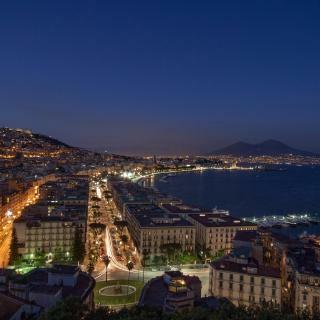 Hotel Transatlantico, Eurostars Hotel Excelsior, and Grand Hotel Vesuvio got great room view-related reviews from travelers in Naples. On average, 3-star hotels in Naples cost $87 per night, and 4-star hotels in Naples are $142 per night. If you're looking for something really special, a 5-star hotel in Naples can be found for $388 per night, on average (based on Booking.com prices). 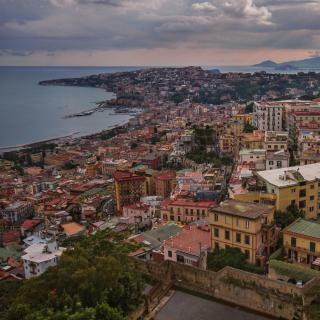 Undulating beside the Bay of Naples, this UNESCO World Heritage city is a maze of narrow streets and cable cars. Although it has an incredible array of churches and monuments, it’s the sheer energy, pulsating life, and buzz of Vespas that really make it exciting. While all this goes on at street level, below is Underground Naples – a series of tunnels you can visit and even a Graeco-Roman theater which you stop at before emerging into someone’s house! 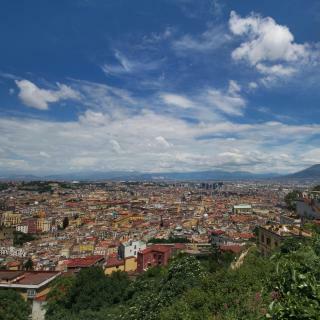 Head up to the Posillipo area for stunning views of the city and Vesuvius in the distance. The volcano itself can be visited and looking down from it towards Pompeii and Herculaneum gives context to the thousands of artifacts now on display in the city’s National Archaeological Museum. As for accommodations, Booking.com has a wealth of hotels near Naples Airport, old town B&Bs, city center apartments and more to help you make the most of your stay. Naples looks decrepit, the building facades are worn out and falling apart. Everywhere I looked the buildings were a sore sight, also because of the graffiti everywhere. Sad place, including the historic center, where cars and motorcycles create a very stressful walking experience. The National Museum of Archaeology was worth the visit, and also the subterranean tunnels. Some cool things to see. Some cool things to see. Traffic was challenging as was parking. Found the city to be very dirty with garbage everywhere. Several of the parks we traveled through smelled badly of human urine. Capodimonte was the high lite with the best grounds of place we saw. I liked the old streets which you could wander around for hours. People friendly. Food good, but you do have to watch out for the add ons. Usually 1 to 2 euros each for sitting at a table. Santa Chiara and Museo Archeiogico Nazionale are well worth a visit, and the area around Piazza Del Plebiscito. Very few open spaces and not much greenery. Good place to visit Herculaneum and Mt Vesuvius from. Metro cheap but doesn't cover everywhere and line 2 was closed. Didn't know how to work out buses. I do acknowledge that other reviewers have voiced comments about being uncomfortable with Napoli. Myself, I live in a rather pristine city in the US, and might even say it is boringly pristine at times (Seattle). So let's be fair: Napoli is a big city, and a serious working city. You might encounter a breadth of humanity. You will encounter the most fantastic breadth of cultural richness, superb food wherever you turn, and an incomparable breadth of historical treasures. Moreover, Napoli is the best place for basing day-trips to Pompeii, Herculaneum and Sorrento... I have visited Napoli multiple times, and look forward to going again! Nowhere else have I ever encountered such an abundance of good-hearted people. At a small chain called Tandem, I discovered an item called "cuzzetiello," which is a half-loaf of bread (filone), hollowed out with beef stew inside (beef with ragu sauce). Fantastic. The ride on a funicular to reach Castel Sant'Elmo was fun. Did not care for the pizza as it was gummy in the middle...just not my style. I tried two of the highly-rated pizzerias, da Michele and Trianon. At Michele they even asked me, in English, for a tip as I left. What, did the guy think I was the tipping American? I thought Italy was the land of service included. I just walked out. There are things here that are really worth seeing. There are things here that are really worth seeing. 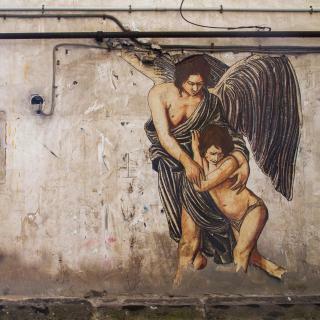 But the grace and charm that are easily found in most European cities are elusive here. (That I never found them does not mean it cannot be done.) If you really dig the active vibe you will probably enjoy being in Naples. When I go back I will tour the must-sees with a guide. And stay at some peaceful remove.